What you can’t see can cause failure! Reliable electronic hardware is more challenging to reproduce due to component size, residues trapped under bottom terminations, shorter distance between conductors, higher pinout devices in smaller footprint, increased electrical field and environmental factors. Residues under the bottom termination have the highest potential for leakage and are the least understood. Gaining a better understanding of soldering residues, their potential to cause leakage, and test methods for quantifying risk will help reliability engineers understand how clean is clean enough to meet reliability requirements. The distance between the land of the bottom of the component and the land on the top of the board surface has a critical impact on the level of contamination, the activity of the residue, the risk for leakage currents and clean-ability under the bottom termination. This webinar will teach circuit board design options for reducing contamination under the bottom termination, testing for the activity of the contamination, cleaning time and force needed to remove the residue. 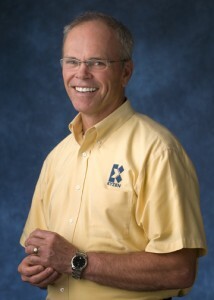 Dr. Mike Bixenman is the Chief Technology Officer and Co-Founder of Kyzen Corporation. KYZEN Corporation engineers cleaning materials and processes for cleaning high reliability electronic hardware. Mike is an active research fellow studying reliability challenges within high reliability manufacturing segments. He works to gain a deeper understanding of these challenges.